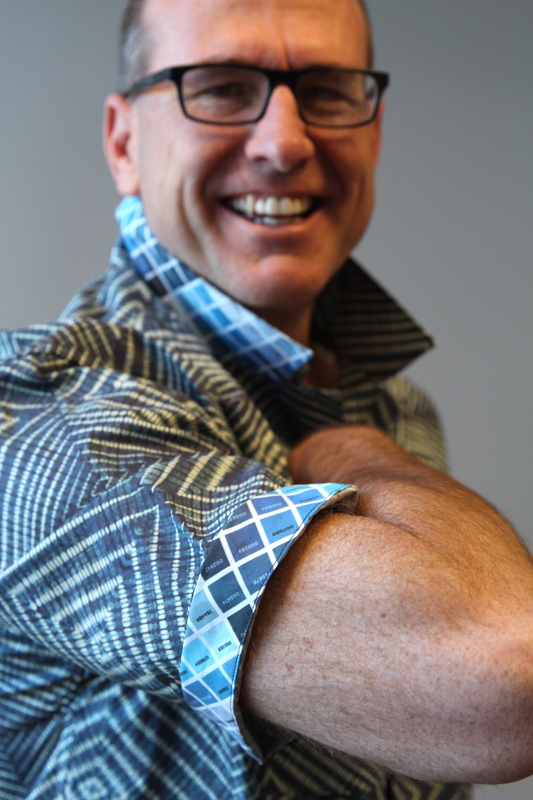 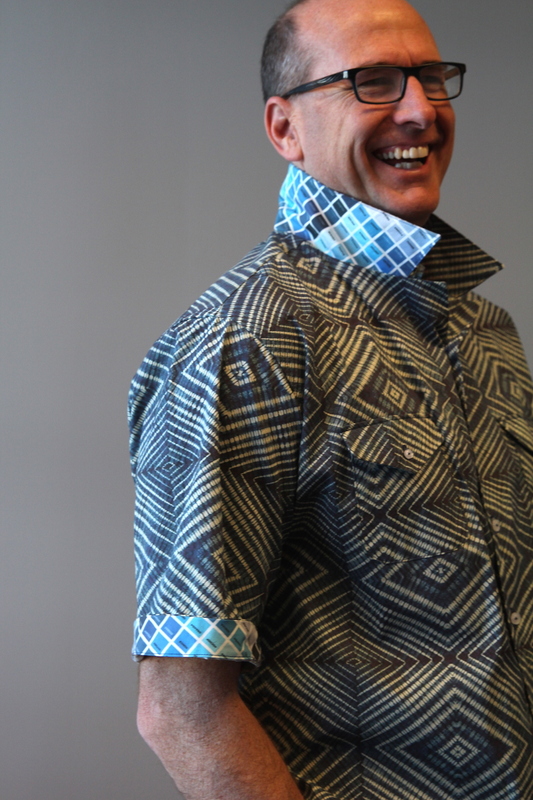 Pop that collar for extra credit! 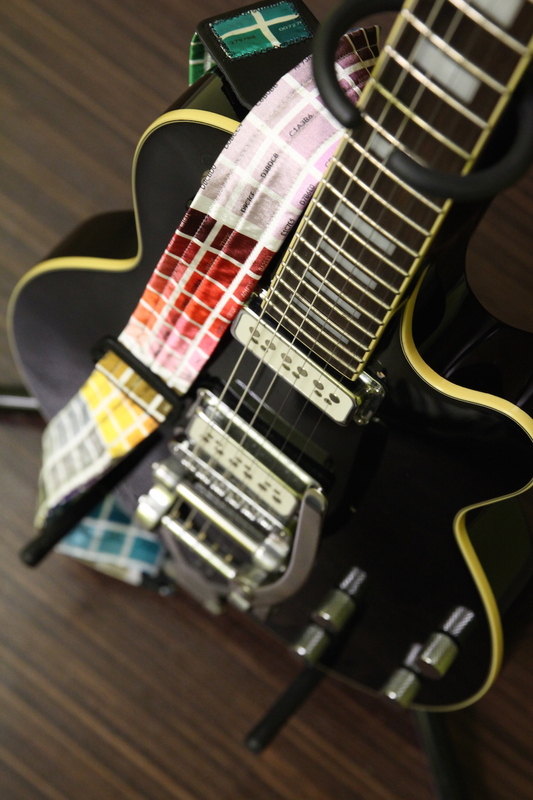 Customer Service Advocate Jessica made this rockin’ color map guitar strap! 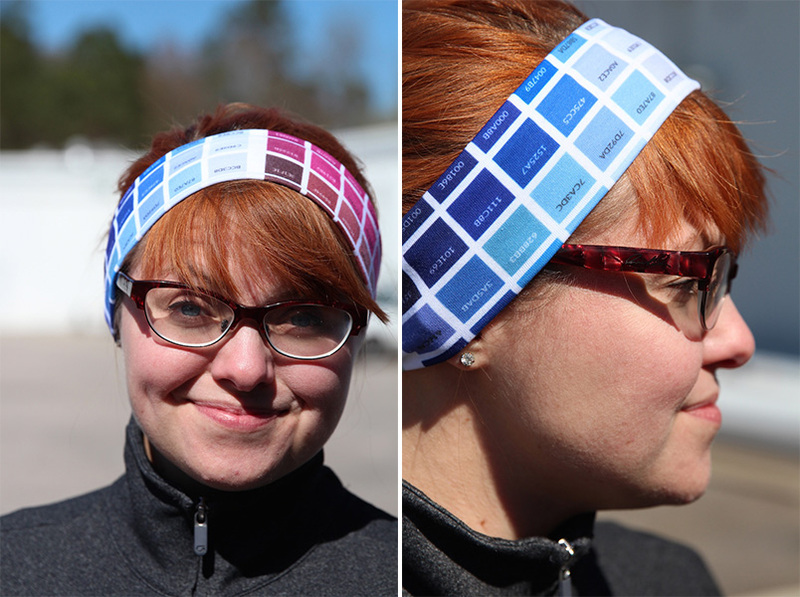 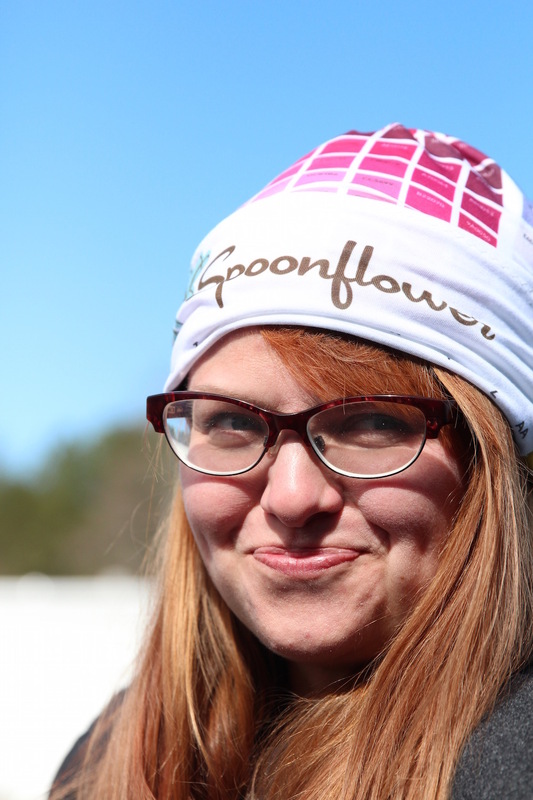 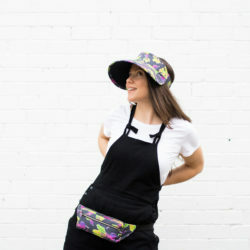 Customer Service Advocate Crystal is bringing hexy back in this stretchy color map head band. 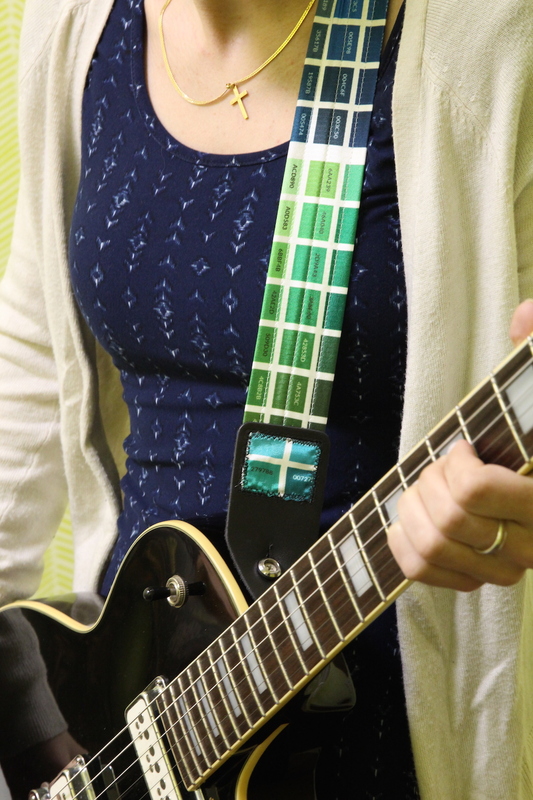 Use this tutorial to make one of your own. 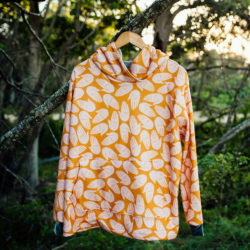 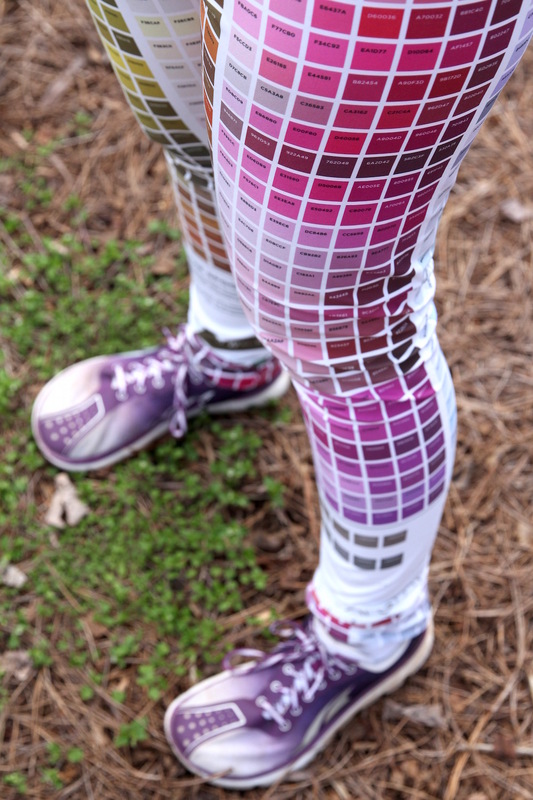 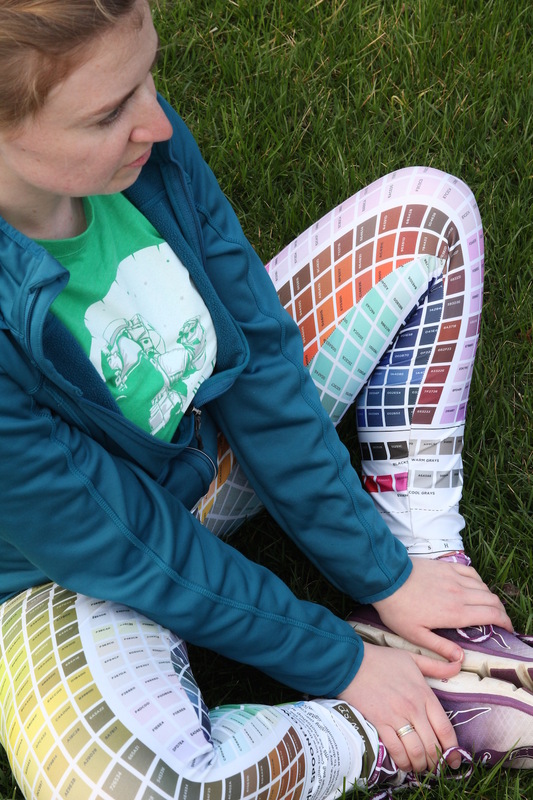 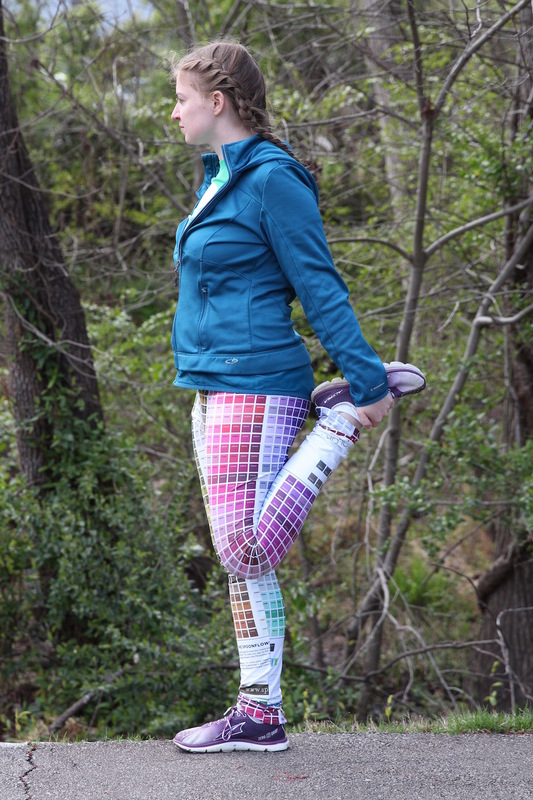 We love the Sloan leggings web developer Katie made using a Sport Lycra color map! 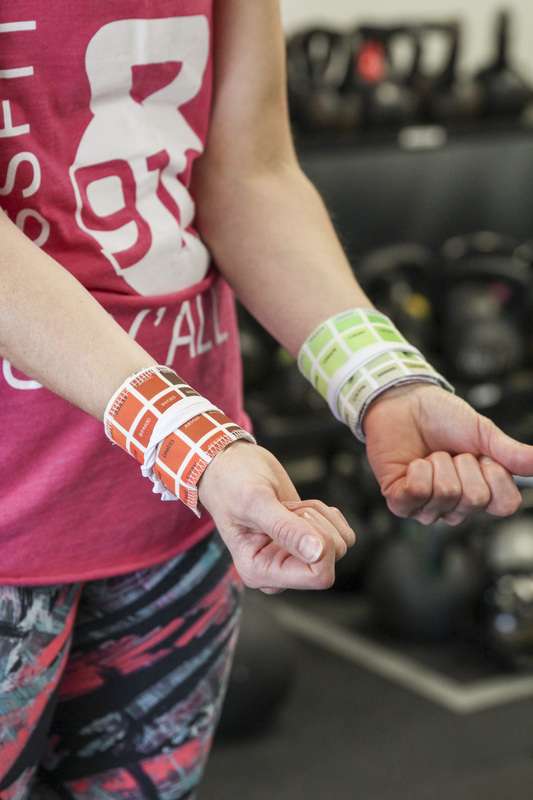 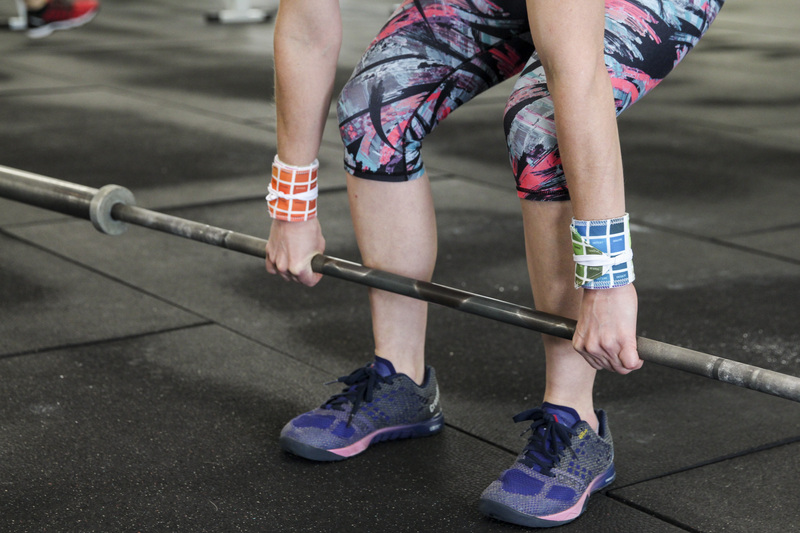 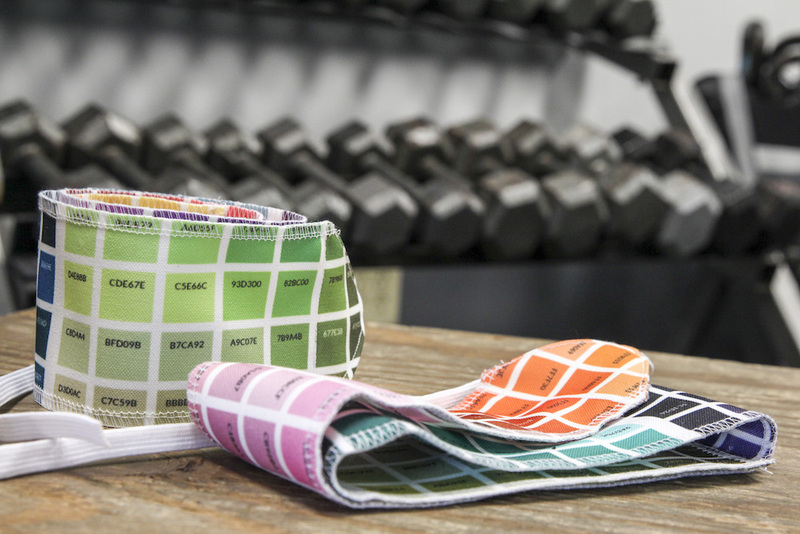 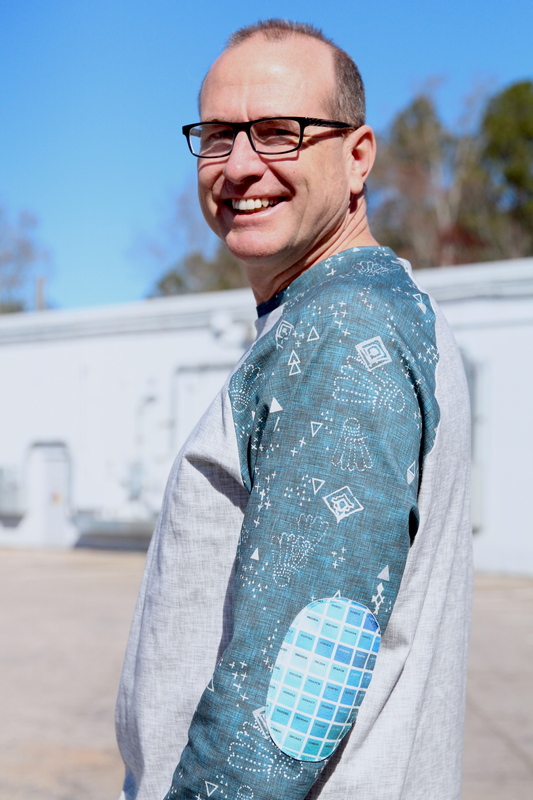 Community outreach coordinator Meredith had the clever idea to turn her color map into wrist wraps for working out! 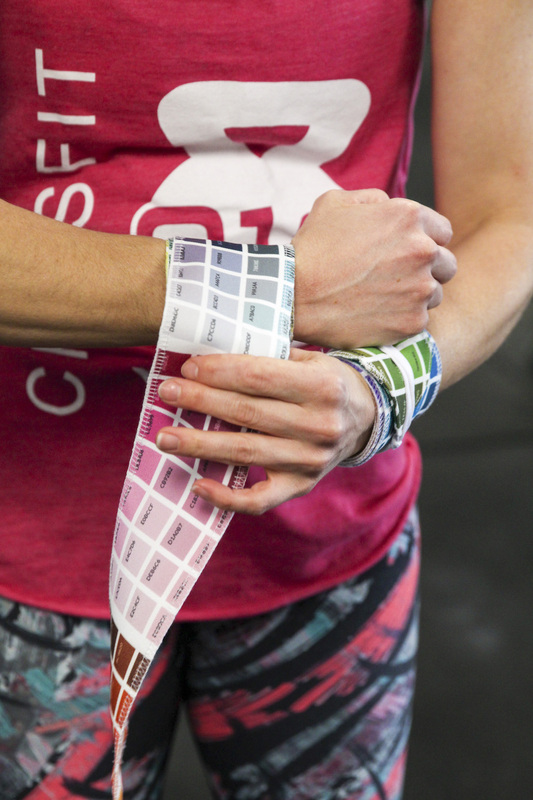 We might have thought of that ourselves but we don’t really work out…. 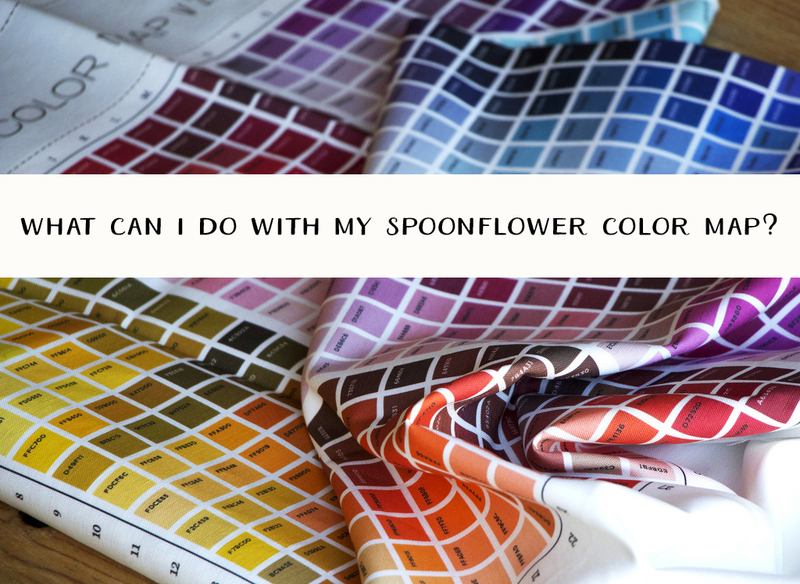 maybe we should try that sometime. 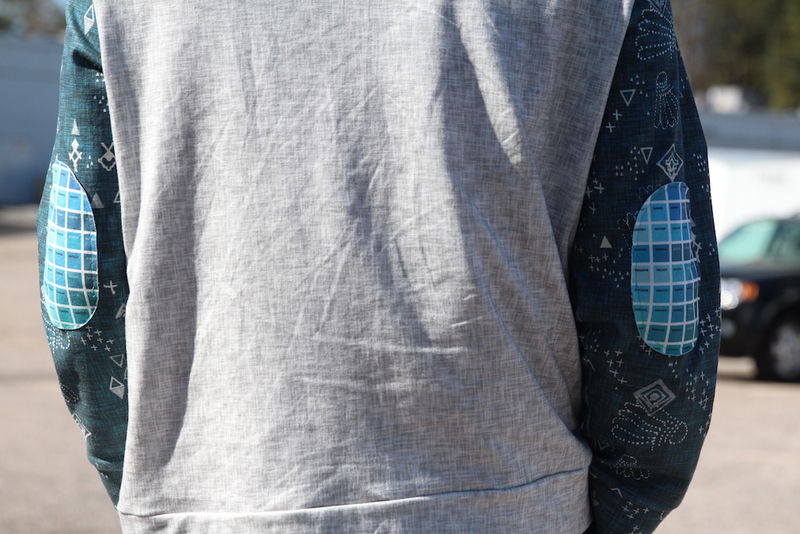 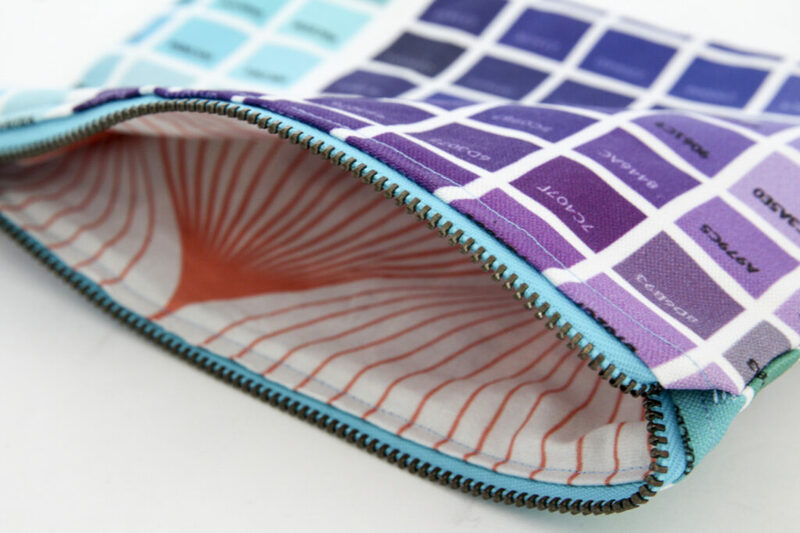 One of our favorite color map projects is also a Spoonflower classic–a lined zipper pouch. 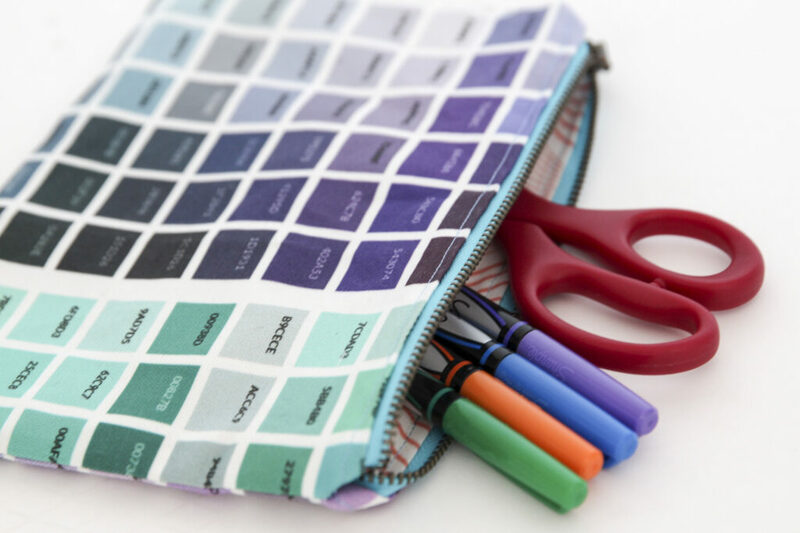 Pick a fun fabric for the inside lining, and you’ve got a carry-all for craft and art supplies, make up, or toys for little ones. 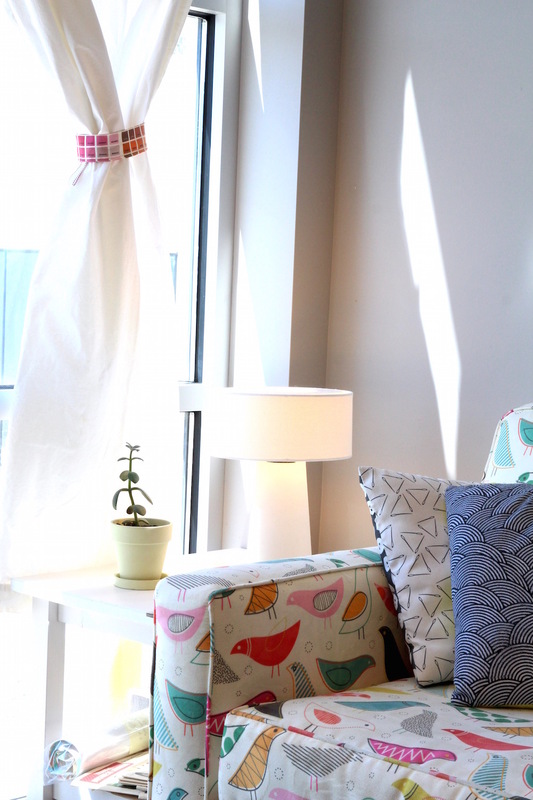 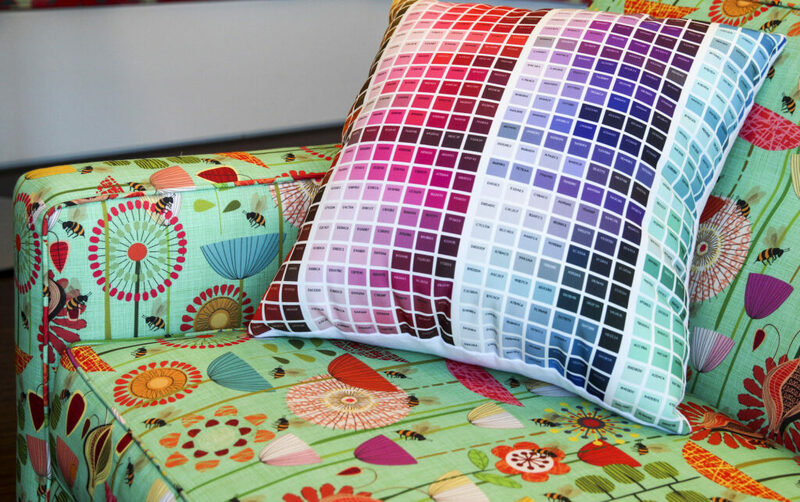 Looking for some comfy, eye-catching and functional couch decor? 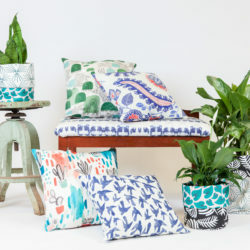 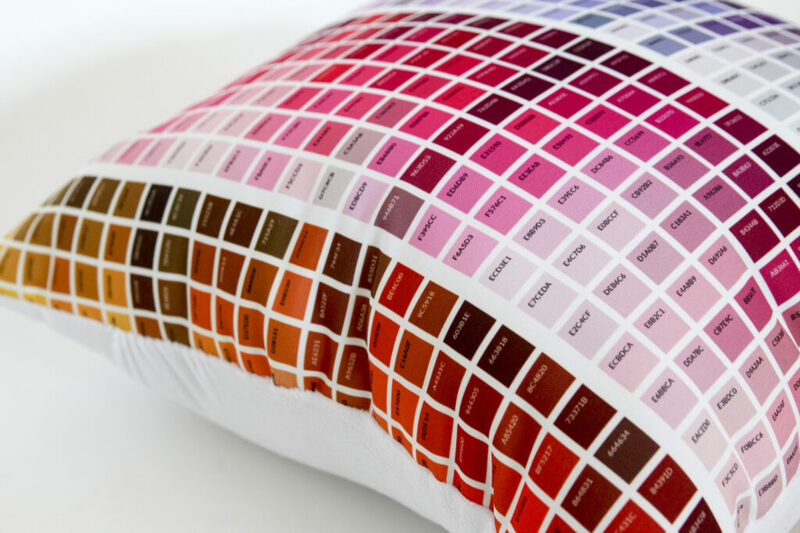 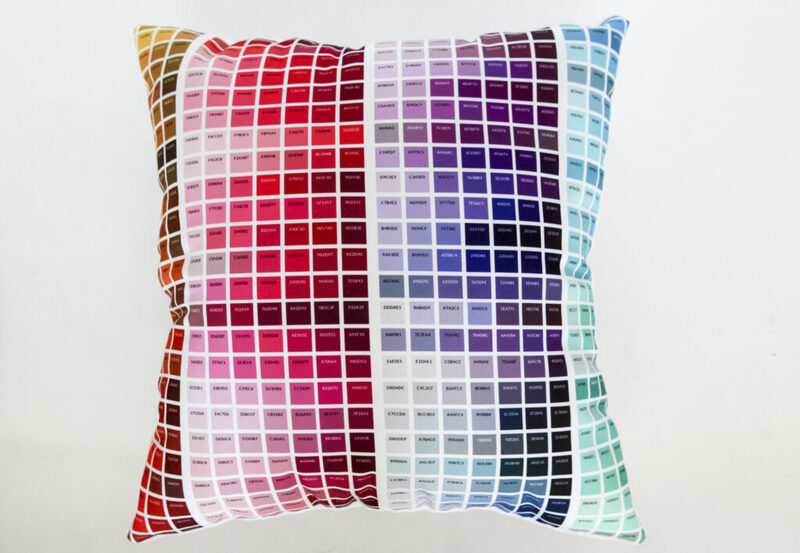 Toss one of these color map throw pillows on your sofa to immediately liven up your living room. 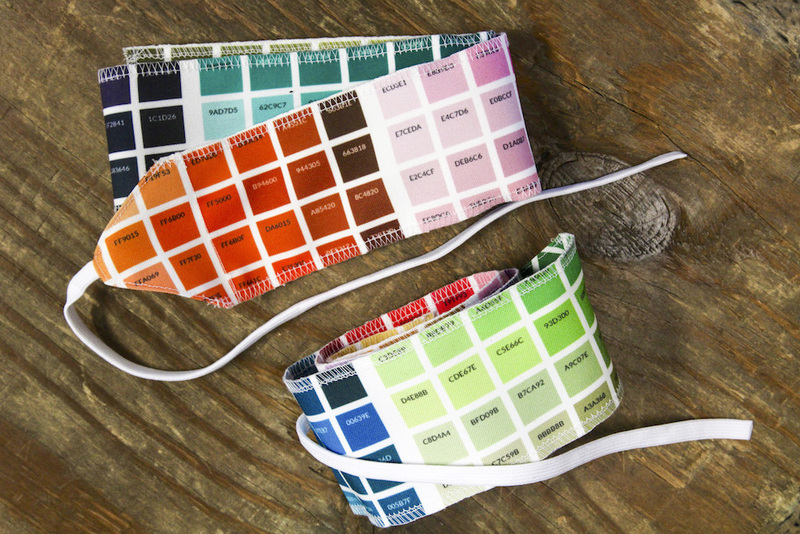 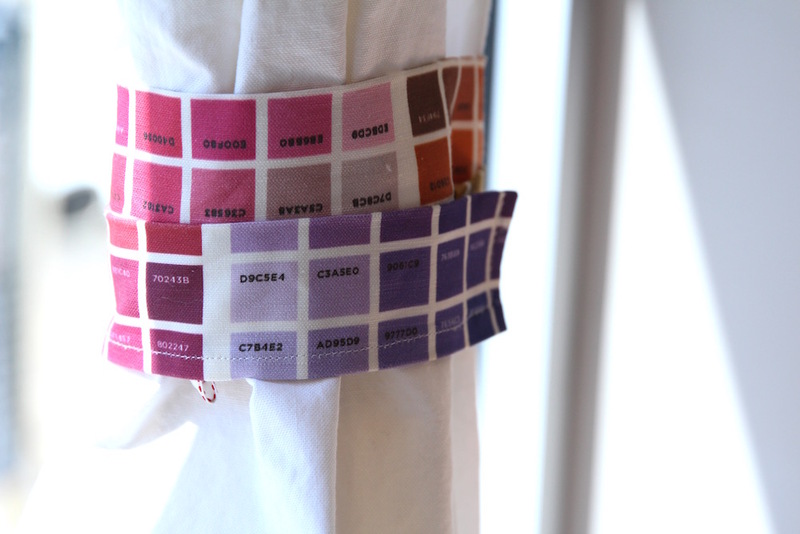 Have you been known to use our color map in unconventional ways? 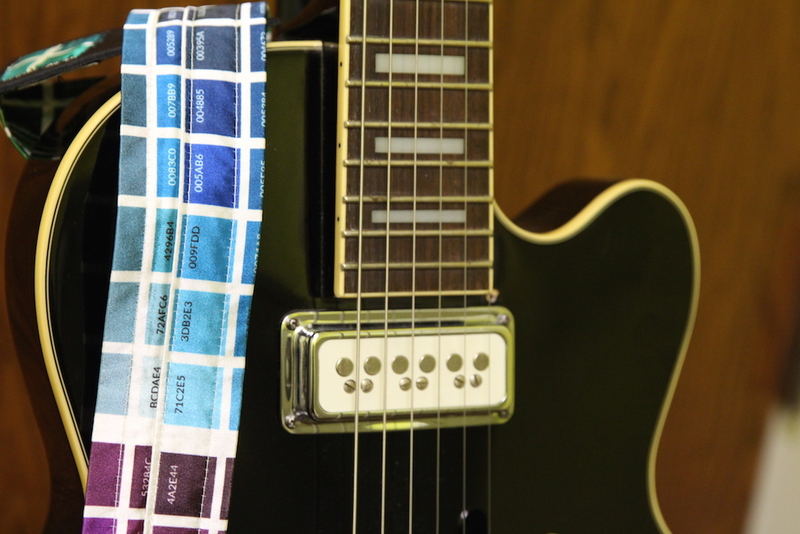 Snap a photo and tag us on Instagram so we can see and share! 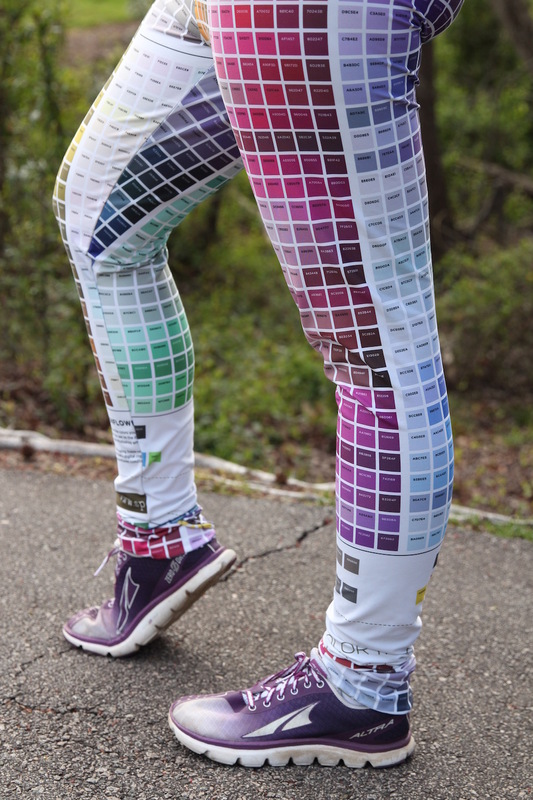 Great ideas, Lauren! 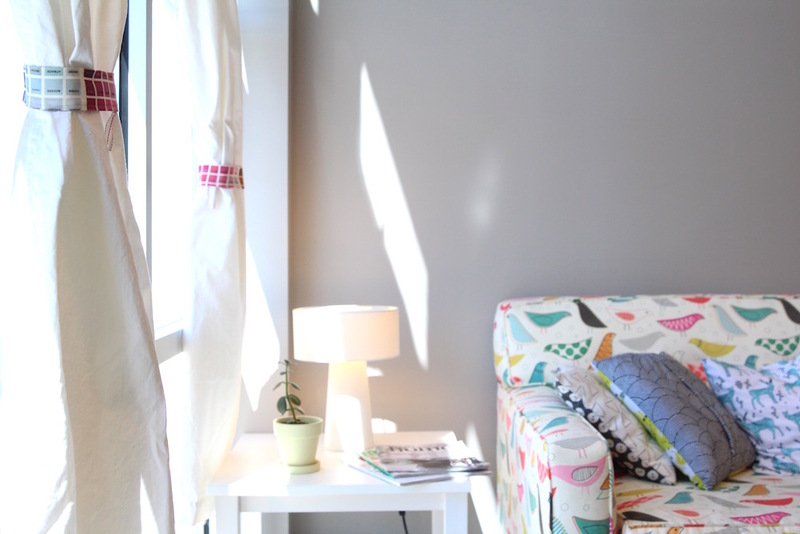 We’d love to see photos of your finished projects, especially that indoor bunny house! 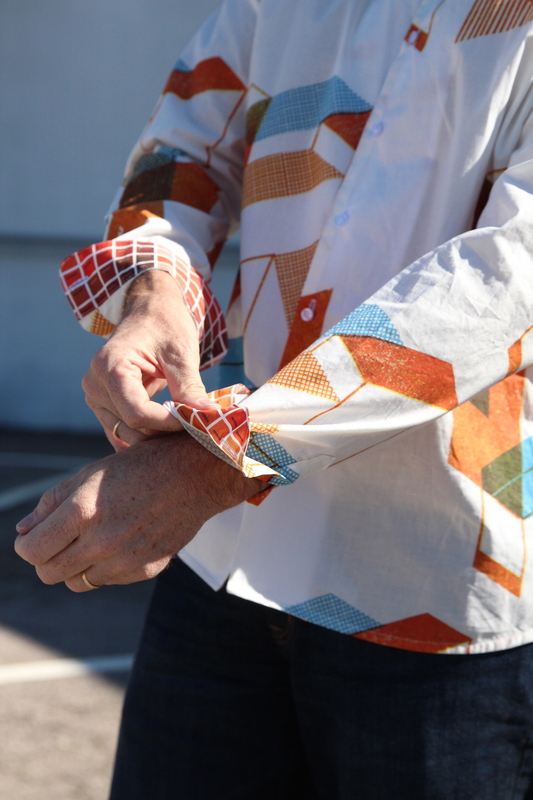 « Announcing the Winners of our Tangram Design Challenge!